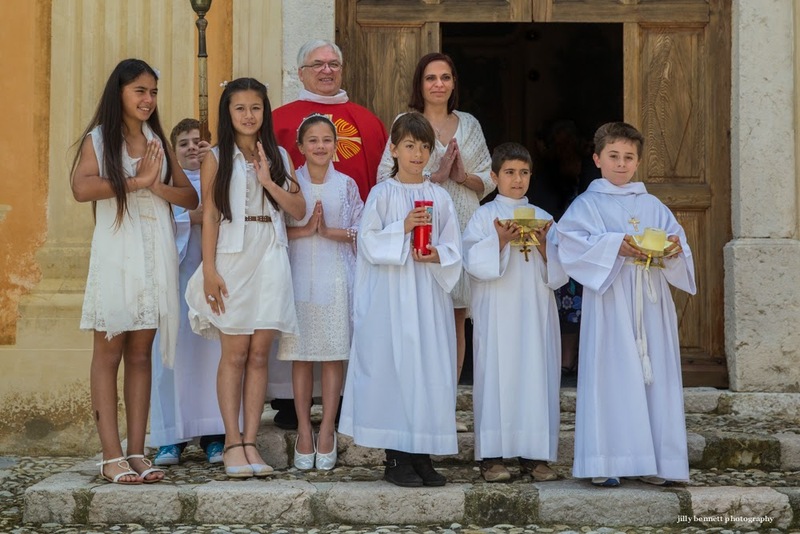 Three children, Lara, Lalie and Paloma, and one adult, Nathalie, Paloma's mother, took their first communion today in the Church of Saint Barthelemy in Gorbio. 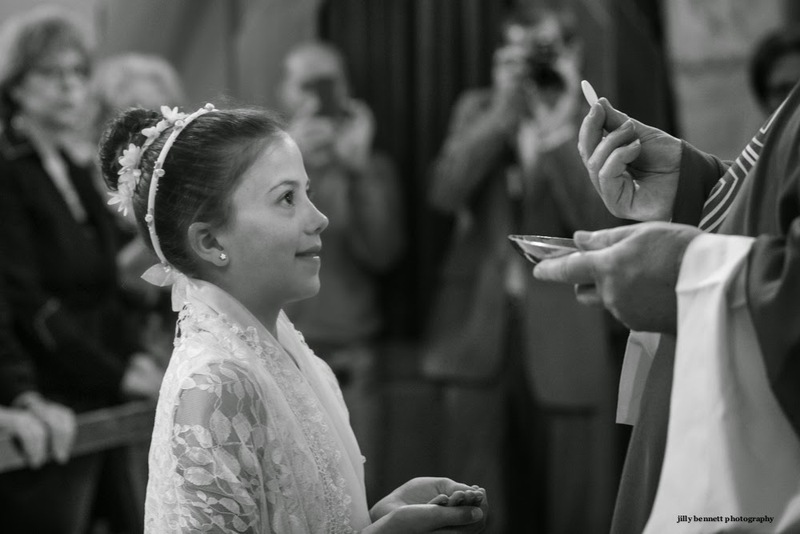 Here is Paloma receiving the sacrement from Father Guglielmi. Trois enfants, Lara, Lalie et Paloma et une adulte, Nathalie, la mère de Paloma, ont reçu leur première communion aujourd'hui dans l'Église Saint Barthelemy à Gorbio. Voici Paloma, recevant la communion du Père Guglielmi. What a beautiful moment you captured, Jilly! They are very lucky to have you there. What an extraordinary photograph, one for your book. She has such a glow! In a way it looks like a still from a 40s B&W movie. This is a picture Paloma will treasure all her life. What a special and holy moment it must be for these children.